Inventory management simply refers to the handling and controlling of a company’s non-capitalised assets. For most retailers, this involves the overseeing and controlling of finished items that are ready to be sold. The fundamental goal is to keep inventory levels balanced at all times without ever having too much or too little product in stock. So staying on top of ordering, forecasting and storageare key parts of good quality inventory management. A retail business is useless without its inventory. Yet holding this inventory ties up a lot of cash and resources. Being able to manage it effectively and efficiently is therefore vitally important to cash flow and a great way to save money. 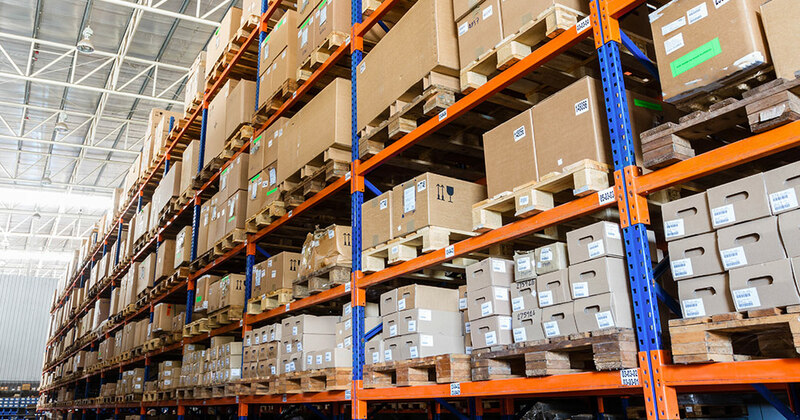 Warehousing costs tend to fluctuate based on how much product is being stored and for how long. The longer an item sits on a shelf without being sold, the more it costs a business. Good inventory management results in items spending less time sitting in the warehouse before being sold. And this means reduced costs for storing them. It’s not just storage costs where a retailer is potentially losing money from poor inventory management. Perishable items will be entirely wasted should too much be ordered at one time or it isn’t stored sufficiently. Too much stock that becomes ‘dead’ due to going out of season or style is similarly wasteful. 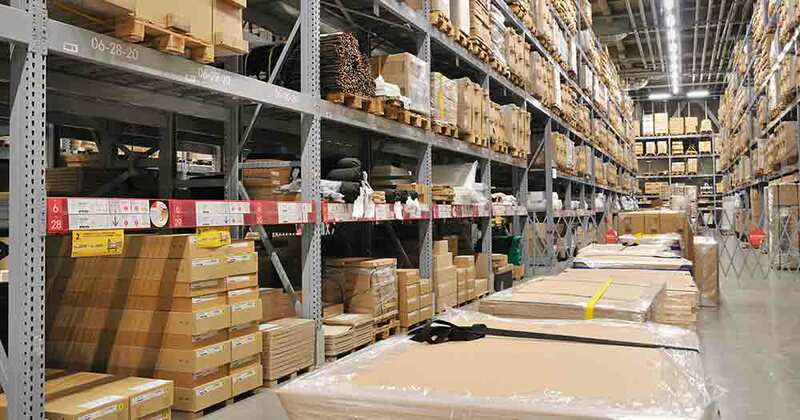 Better managing of inventory helps avoid wasting money on too much spoilt or dead stock. Any inventory is likely to have been paid for upfront. But until this stock is sold, it’s just a hole in the bank balance and a dip in cash flow. Managing inventory properly means cash isn’t drained on buying too much stock at any one time. This leaves more money in the bank to spend on growth instead of inventory. Knowing what items are actually in stock and being stored as inventory in the warehouse is, of course, vital. On top of this, it’s also key to know the value of this inventory. Inventory value is a legal accounting requirement, but is also a piece of data that gives a crucial insight when making certain business decisions. For example, whether you can afford to purchase new stock. The figure tends to be a sum total of how much it cost to acquire your inventory, including any freight or transport costs. There are a few basic methods for calculating this. FIFO tends to be the most commonly used method. 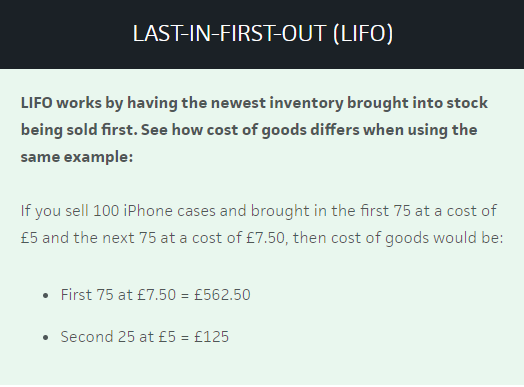 But LIFO can be useful in industries where prices fluctuate a lot or the newest units genuinely are sold first. 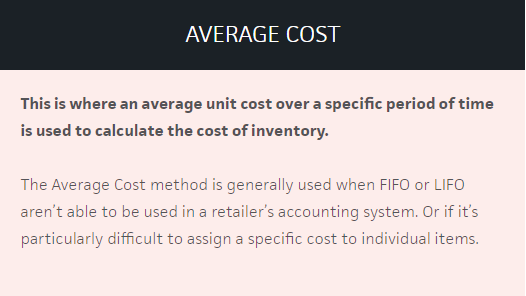 It’s worth noting, however, that some regions don’t allow LIFOas a viable method of calculating cost of goods. FIFO is therefore the more popular and generally recommended option. 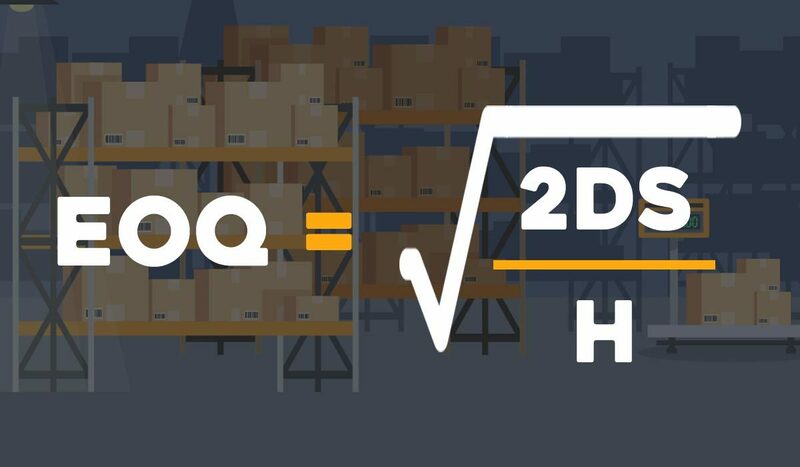 Now that we’ve established a way of calculating inventory value, let’s start taking a look at what good quality inventory management actually looks like in practice. There are several key techniques and methods that can be used to manage inventory effectively. The Just in Time method is where a business would maintain a very low level of inventory and order goods in as and when they are needed. This represents a move away from the traditional philosophy of piling stock high to meet any sudden rises in demand. The severely reduced amount of inventory being held at any one time means a business can save massively on storage costs and decrease waste. However, it requires finely tuned and accurate forecastingthat accounts for seasonal fluctuations in demand. Any mistakes here can result in not being able to fulfil orders and a nosedive in customer satisfaction. A stock review is simply a typical analysis of stock against projected future sales. This is particularly useful for any retailer still managing all inventory manually, although it is highly recommended to invest in a specific software. It’s best to set a predefined period to complete the stock review over. Then compare current stock levels against future projections to determine how much inventory to order. Obviously, this can save money in the short term if no software or specific system has been purchased. But doing manual stock reviews can be a monumental drain on time and resources while also opening up huge potential for human error. This enables a retailer to analyse all current on-hand inventory by dividing it into three categories – A, B and C. Which category a particular item falls into is based on inventory value and cost significance. A Items: Are of high value with low sales frequency. B Items: Are of moderate value with moderate sales frequency. C Items: Are of low value with high sales frequency. ABC Analysis allows a retailer to prioritise how they managedifferent inventory items. It works well alongside the Just in Time technique as it allows to point focus at items that need more attention. For example, A items are of high value but stock levels will be kept lower so maintaining a close eye on these is essential. Whereas C items are relatively high in number and so don’t need such tight observation. While this is a popular method, it’s worth noting that its analysis is based purely on monetary value and doesn’t take any other factors into account. Dropshipping effectively removes the task of inventory management from a retail business. A customer would place an order and then have it fulfilled straight from the manufacturer or wholesaler. A premium is usually added on top of bulk buying any stock, but this can be offset by the complete lack of warehouse or storage costs. Dropshipping can be a great option for startups or smaller businesses. But order processing can prove tricky and the lack of control over customer experience means it’s something to think twice about for high-growth and larger retailers. A phenomenal amount of good inventory management comes down to being able to forecast future demand for specific items. And to put it plainly – this is no easy task. There are a multitude of variables that can affect demand and it’s impossible to know for certain exactly what’s round the corner. Thankfully though, there are some ideas to consider to help predict as closely as possible. Forecast period. This is the specific amount of time into the future that a forecast will be attempting to predict. Trend in demand. The increase or decrease in demand over a certain period of time. Trends over the short, medium and long term past should be considered in order to make future projections easier. Base demand. This is simply the exact current demand for a product at the specific point a forecast is due to start from. Setting a clear reorder point for each item allows retailers to know exactly when to order new stock. It is a specific point that acts as a trigger as soon as stock has diminished to that certain level. It’s important to consider the lead time for new stock to be delivered when setting reorder points. Enough stock should be leftover to keep up with demand before the new inventory is available. After deciphering the exact point new orders need to be placed, it’s time to consider how much stock to actually order. This is where the Economic Order Quantity (EOQ) formula takes prime position. Demand (D). The number of units sold over a given time period, usually a year. Relevant ordering cost (S). Total ordering cost per purchase order. This includes not just the actual order cost, but all fulfilment, staff, etc costs for that order too. Relevant carrying cost (H). Assume the item is in stock for the entire time period in question and decipher the carrying cost per unit. For example, a business sells 2,400 office chairs a year (200 a month) with each unit costing £90. It’s determined that an additional £10 is added to this when taking all other fulfilment costs for an order into account. Some key metrics and equations have already been mentioned in this guide. But there are several more that are involved and need to be paid close attention to when it comes to high quality inventory management. 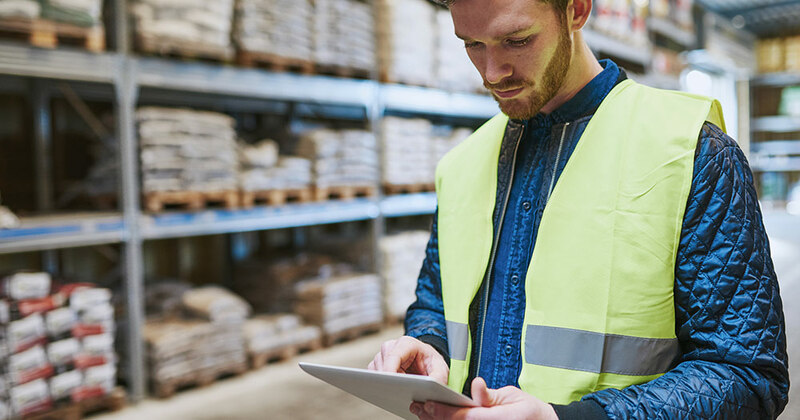 Keeping track of these metrics makes it easier to identify bottlenecks or areas for improvement in an entire inventory operation. Inventory turnover gives an indication of how quickly stock is sold and shipped once it has been received into a warehouse. The faster stock is moved, the less it costs to store it and the more profit can be made on each sale. Keeping track of this enables greater insight into the popularity of certain items to help gauge future buying practices. Safety stock is the backup stock needed to meet unexpected occurrences and sudden changes in demand. For example, an unexpected heat wave could see retailers selling barbecue equipment experience a sudden rush in demand. The stock needs to be there to meet this, but they also don’t want to keep too much on hand at any one time. As mentioned earlier, reorder points are vital in order to know exactly when to order new stock for a specific item. In essence, an item’s reorder point needs to be as soon as its safety stock levels are hit. But the lead time between ordering and receiving the order needs to be taken into account. Keeping an eye on backorder rate is an excellent way of analysing forecasting success. A high backorder rate means a lot of orders are coming in for items that aren’t in stock. Of course, sudden unexpected rises in demand can account for this. But if backorder rate is consistently high then it’s likely a result of poor planning and forecasting. 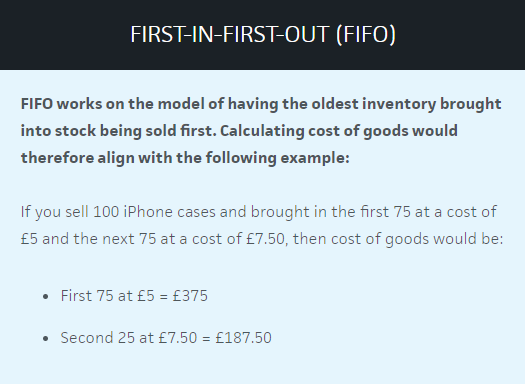 The carrying cost of inventory is basically the cost a business pays for holding goods in stock over a given time period. This can include storage costs, insurance, depreciation, staff costs, taxes and any other expenses relating to holding inventory. Businesses use this data to determine the amount of profitthat can be made on current inventory. It’s also useful to help determine how much inventory to keep on hand. Paying close attention to the above techniques and metrics is a great start. But a growing retail business should be aiming to remove potential for human error as much as possible. This means taking advantage of a specific inventory management system or piece of software to support manual efforts. Inventory management software effectively does all the heavy lifting for a business when it comes to managing their inventory. A computerised system is put into place that tracks orders and items through that business’ entire supply chain. This allows the business to see the various parts of its operations in one place and manage everything effectively without relying on manual, paper or spreadsheet processes. Different sized and types of business will have different needs. But good quality software will be able to manage a retailer’s operations throughout their entire supply chain. Receiving orders. Process customer orders from all sales channels and bring them together to manage in a single place. Managing inventory. Take in information across any number of warehouses and locations and update this across sales channels in real-time. Warehouse support. Provide barcode systems as well as item location and picking support for warehouse operations. Shipping integration. Capability to ship online orders directly in the software and integrate with inventory levels automatically. Report key metrics. Easy access to detailed performance analytics that give key insights on making inventory and overall business decisions going forward. Innovation driven. Retail is changing at a rapid pace and so it’s good to get on board with software that is going to evolve and change with the industry. The above features are foundational pillars to consider with any inventory management system. But each business’ requirements can be slightly different. It’s worth making a note of any and all specific required features and then narrowing software options down to only those that provide what’s on the list. For example, something like integrated barcode scanners may be an optimal feature for businesses with large warehouses. Setting a budget and going into research mode to find software providers that meet as many requirements as possible is then the next logical step. It’s always best to test drive the options first. Depending on the size of an operation and level of software, it’s a good idea to either complete a free trial or setup a tailored product demonstration with the company. About us: We help E-Commerce & Retail Clients to Grow Their Business. Click here to contact us should you require more information! Reference: The article contents are originally written at and sourced from https://www.veeqo.com/academy/inventory-management-guide. We don’t express/any claim to the ownership. If you have any concerns, please contact our editorial team.